At the start of any new year, many people do intend to get into shape, but the thing is, how many of us actually go through the necessary motions in order to shed those pounds around our waist? Signing up for a gym membership is always a good idea, but do you have the perseverance to see through the entire membership without dropping out, so to speak, halfway through the year? The $499.95 Bioresponsive Elliptical Trainer might not leave you with any more excuses for not working out, since it can sit right smack in the middle of your living room. 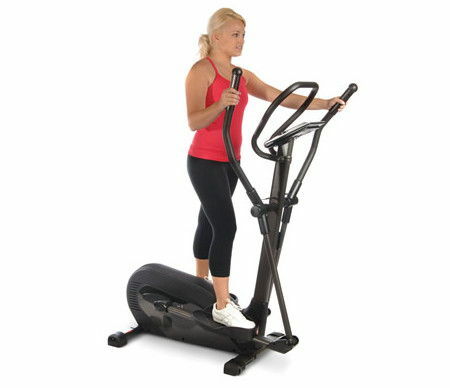 The Bioresponsive Elliptical Trainer happens to be an elliptical trainer that will automatically adjust resistance so that your heart rate will remain in its selected target zone at all times. Riders will first input their age on the control panel before picking one of the pre-programmed target rates (55%, 75% or 90%) of their maximum recommended target, and you can let the elliptical do all the rest of the adjustments automatically so that your heart rate remains within 5 beats per minute of target. As long as you do not weigh more than 250lbs, the Bioresponsive Elliptical Trainer would more than welcome you to pound its pavement.